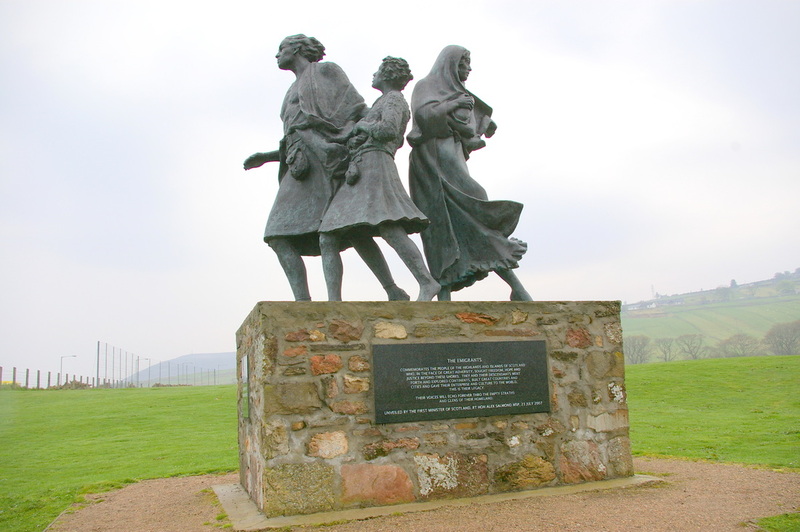 The Emigrants statue was unveiled by the Rt Hon Alex Salmon MSP, First Minister of Scotland, on 23 July 2007. It was commissioned by Dennis MacLeod, who was born and brought up in Helmsdale before making his fortune in gold mining in South Africa. The inscription on the monument, in Gaelic and English, reads: "The Emigrants commemorates the people of the Highlands and Islands of Scotland who, in the face of great adversity, sought freedom, hope and justice beyond these shores. They and their descendants went forth and explored continents, built great countries and cities and gave their enterprise and culture to the world. This is their legacy. Their voices will echo forever thro the empty straths and glens of their homeland."